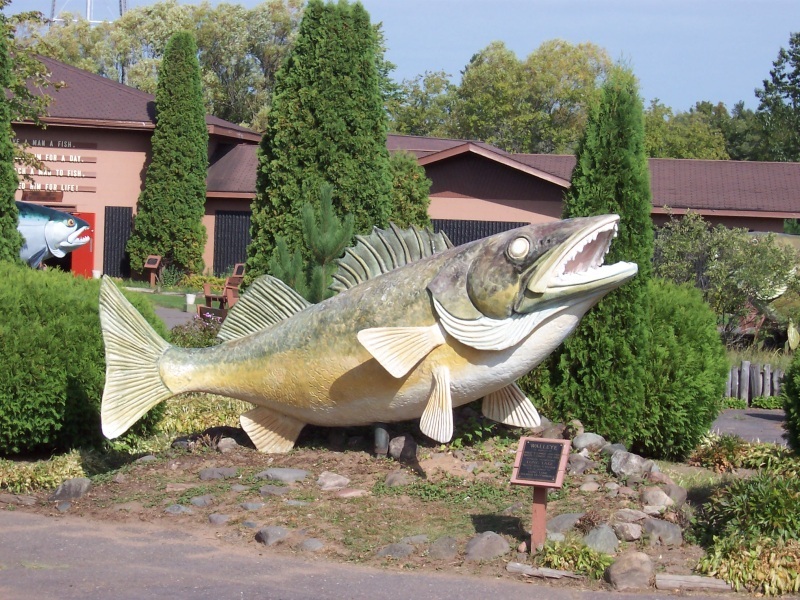 So it’s only fitting that this Hall of Fame would host the World’s Largest Fiberglass Sculpture, which is also the World’s Largest Muskie. Standing 143 feet long and 41 feet tall, the muskie holds names of world record-holders in fishing across the world – over 3,000 entries. You can check out the names and climb the steps to show yourself from the muskie’s mouth, 4 stories off the ground. It’s a popular place to get your picture taken… how can one resist?? 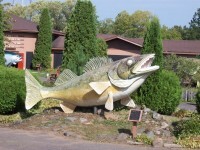 You’ll find the World’s Largest Muskie at the National Freshwater Fishing Hall of Fame in Sawyer County, just south of downtown Hayward nestled between Hayward Lake and Highway 27. U.S. 63 and Highway 77 are within blocks. 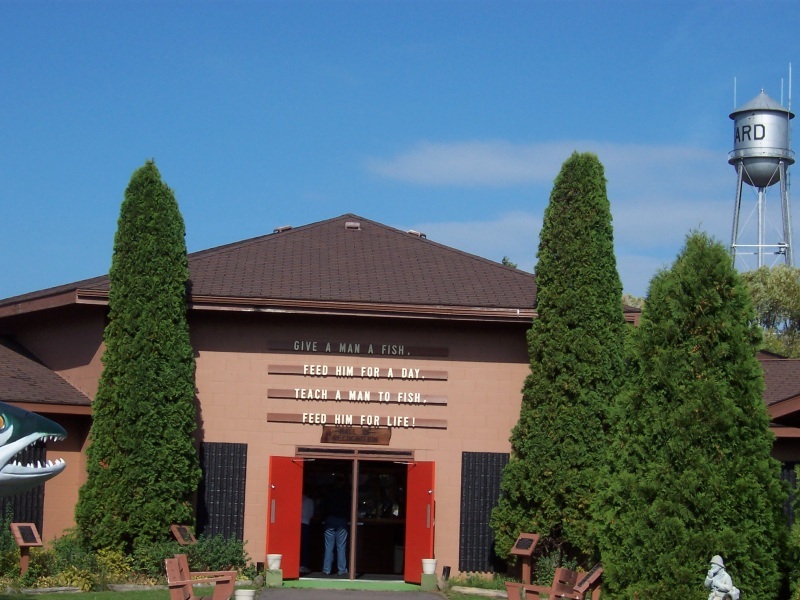 The National Freshwater Fishing Hall of Fame is open year ’round, so feel free to attend on a hot summer day, a chilly winter day during the annual American Birkebeiner, or the World Lumberjack Championships, which takes place annually just a stone’s throw away.